Two Nerdy History Girls: Congratulations to All the Classes of 2014! As you've probably noticed, we've been very quiet (ok, silent) on the blog and on Twitter these last few days. 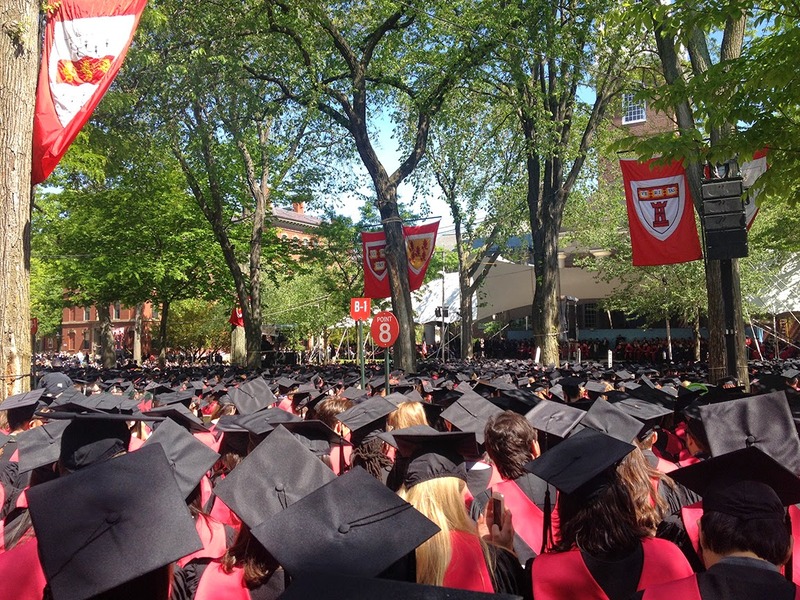 While Loretta has been wowing the crowds of book-folk in New York at Book Expo, I've been up in Cambridge, MA to see my daughter receive her Master in Urban Planning from the Harvard Graduate School of Design. Congratulations and good luck to all the 2014 graduates, and a great big thank you to all the families, friends, and teachers who helped them get there. A bonus: Only at Harvard would the unidentified soloist listed in the program turn out to be Aretha Franklin singing the National Anthem. Here's her performance, and it's just amazing. Look for Breakfast Links to return next Sunday. Promise. Congratulations to your daughter! I watched the video, and it confirmed I'm a sap! Cried through the whole thing. Such a momentous occasion. Glad you could be there on your daughter's a special day. Aretha is some performer isn't she-a true national treasure.